After releasing Grand Theft Auto: San Andreas for iOS, it is already available and hitting now in play store. Unfortunately, GTA SA got some bad reviews on its launch day because it was giving many errors and also showing device not compatible issues but after the patch fixes now it’s finely running on most of the powerful android devices. We here reviewed Grand theft auto: San andreas on our Samsung Galaxy Note II device where game was running smoothly without any lags and without any settings adjusted. If you are pro gamer, then you must be knowing all the titles from Rockstar games. Grand theft auto: san andreas is not new for gamers coming from PC or consoles but it’s totally new for those who have not played this game on their pc or console too also story is same and it will be boring for those who already completed. In simple words, it’s a free roam play game where you play as an ex- gangster named Carl who returns home after the death of his mom to get some vengeance on the people who killed her. The whole game is mission based where you may complete side missions and many more. 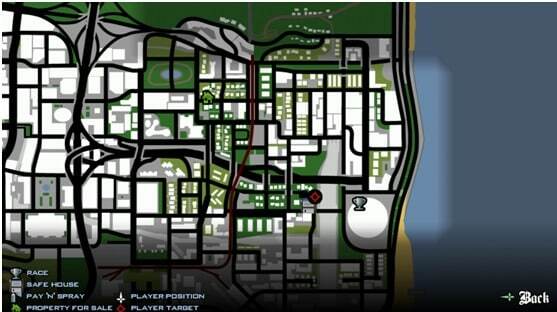 In all the Rockstar games, you may drive different vehicles available in the game, you may visit various businesses, go in hookers club and lot. If we talk about controls then it is same as other games has, i.e, small buttons with different functions and as a mobile device it is well suited but it feels sometimes clunky. You may walk or drive your car with the action buttons on the left and do perform things like walking, beating,control camera, get in car, horn and etc. We may change between the controls from analog, flick controls and on-screen too. You may use accelerometer to turn in any direction while running or driving a vehicle. Dual analog stick controls for full camera and movement control is there for better movement. Rockstar also stated that game is compatible with the MoGa Wireless Game Controllers and select Bluetooth and USB gamepads. Graphics are better and exactly the same as we saw on pc or consoles. Still many of the users getting problems about graphics such lags, slowness or frame rate issues but it can be tweaked by adjusting the properties from graphics(display) option which may boost the performance or make the game much better than previous. With playing game on our Note II device, we tried the game running on a LED TV screen mirroring enabled and we got better results on bigger displays too but sometimes pixels were getting pixelated but still acceptable and good work on graphics by Rockstar. Also we plugged in our HDMI cable to TV and the results were same. San Andreas is a vast-big game if you wish to play all missions including the side missions but most of us never plays side missions though. You will get addicted to play even if you have other games to play.You may play the game offline or save the games to cloud by signing in Rockstar social club. 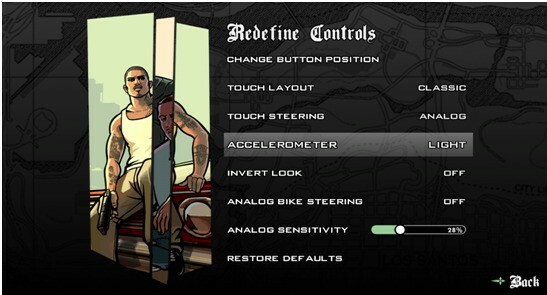 Controls and graphics are awesome work done by Rockstar where you may enjoy game by connecting separate analog controller to your device via USB or Bluetooth. And main thing is that there is no in-app purchases that makes mostly all games very boring. Even if game is optimised for touch screen devices, you should try for separate gaming controller as it will enhance your gaming.Also at some points of missions, you may experience losses in frames rate leading to bad graphics but it’s also for that short period of time though. Story is same as we got to play on pc or console version, there should be some changes atleast like more missions or something change that would make users curious about this. GTA San Andreas is totally action packed game with same story now available on android users but it’s not big deal as game is old enough though and Most probably many gamers already played this when it was launched in 2004 for pc or consoles. Actually if we saw, Rockstar is very late to introduce this game for android users. Also same happened for GTA:Vice City that was released after so many years for android users. So, finally it’s upto you to play once again if you are old player of San Andreas or wait for any other games! Overall rating in playstore is 4.2 and you may buy & download the game right here by spending about 7$ or Rs.390/– only.